If you have more than 1 child, then you know just how hard it could be to walk around and run errands with them right next to you. 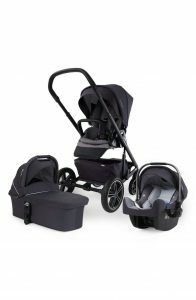 The Room For 2 stroller has been designed to really work great for those parents who have 2 children that they need to care for. The unit has 2 seats – a front seat and a rear seat. Each seat can hold up to 50 pounds. The front seat is able to recline in multiple positions which include fully flat for nap time. If you have an older child, then you are able to place them in the rear seat which is padded nicely for comfort. Alternatively, the child can also stand on the sturdy platform if they want to have a bit more fun. 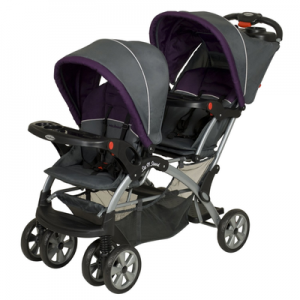 Additionally, the double tandem stroller is compatible with the classic connect and click car seats for the infants. 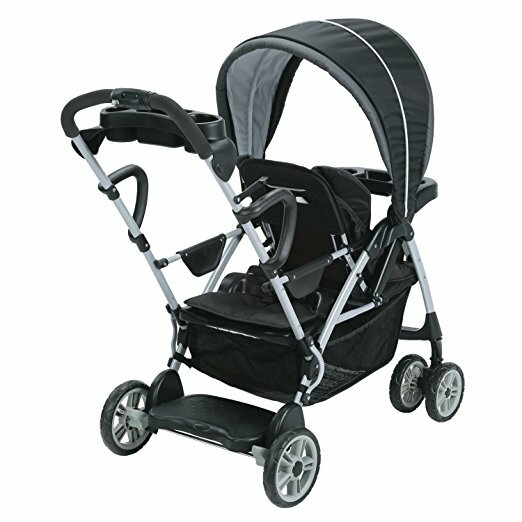 This a single hand folding stroller that has 3 simple steps that you can follow. The unit folds and then locks quickly to make it easier to store and transport. 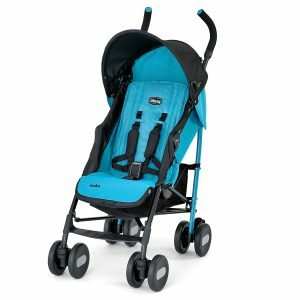 The swiveling wheels also have suspension mechanisms that make it easier to move around. They can also be locked to ensure better stability when you are going over uneven terrain. The design makes it pretty easy to set up and takes less than 10 minutes to put together and it doesn’t need any special tools. It also takes up very little space within the your car during transport or in your home during storage. If you don’t know how to lock it, unfold it, or set it up, as there is a really in depth manual that will help to guide you through the whole process. 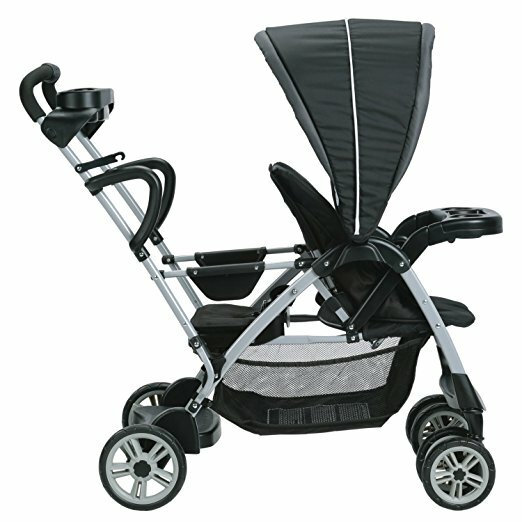 This Graco stroller comes with a sun shade that covers the front seat. This helps to give shelter to your child, which keeps them safe from the scorching sun. The front canopy is small and doesn’t have a back flap, which helps to ensure ventilation when you are out and about. You can also adjust it depending on the position of the sun. 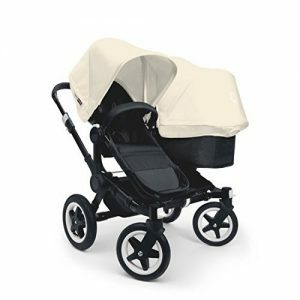 This helps to make sure that your little one is well protected from the sun. It is also important to know, that the sun cover only covers the front seat. 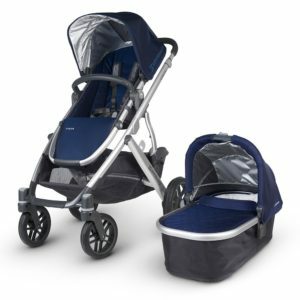 So, you are going to need extra sunblock if you are going to have both of them riding in the stroller and try to keep the one in the back shaded. 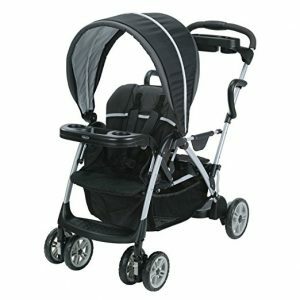 This helps to ensure comfort for your kids as you move around with them on a sunny, hot day. 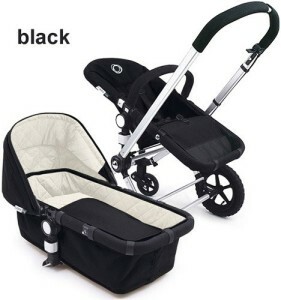 The front seat harness is a 3 to 5-point harness while the rear seat is a 3 point harness that can be adjusted to whether the child is standing or sitting. The two seats also have adjustable crotch straps, while the front only has a single position for the shoulder straps. The harnesses are easy to put on and take off. The buckle is easy to release and connect which makes it easy to unstrap them in an emergency.